The products used at SILK have been chosen with sensitive skin in mind. 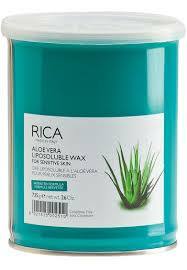 For the legs, RICA Aloe Vera wax is my product of choice as it is really creamy and comfortable on the skin. At Silk Beauty we stock Lycon—the ONLY wax worth taking your clothes off for! With super fine resins it gently removes even the shortest of hair to leave silky smooth skin even in the most sensitive of areas. Remember to exfoliate on DRY skin 24 hours before your waxing treatment for maximum effect. This will ensure that any hairs trapped in the follicle or ingrown hairs are brought to the surface and can be swiftly and effectively removed.